This ring is made in 19 kt yellow gold and 0.45 ct diamonds. This wide olive leaf ring is a custom piece. 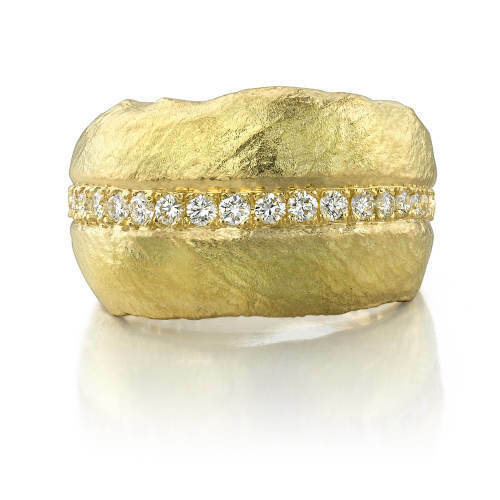 This ring is made in 19 kt yellow gold and 0.45 ct diamonds.